One of the joys of software is that upgrades allow it to grow and improve. One of the problems with software is that not all upgrades work as promised. So, let me take a few minutes to talk about upgrades, since I’ve gotten a lot of questions about this recently. Right. It’s never happened. People ask and expect you to edit their projects – on budget and on deadline. They may not even know you are using a computer. Your clients don’t care about the process, they care about the results. And the answer is: do not upgrade immediately after any software is released. Wait a while. Software does not live in a vacuum. There is more than just one program involved – especially when it comes to media editing. The operating system is involved as are hundreds of third-party plug-ins and hardware that all need to work together properly. NOTE: There is an exception to this rule. I upgrade software that I don’t care about more quickly than software essential to my business. If the software I don’t care about breaks, no big deal. If the software I use to run my business breaks, I have big problems! 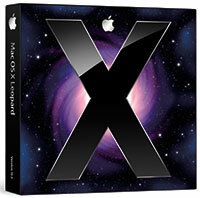 Because of how Apple develops OS X, developers don’t have access to the final version of the code until it is released. Yes, there is lots of beta testing prior to release, but the software continues to evolve and Apple has been known to change things at the last minute to fix a bug or improve performance. For this reason, developers can’t finish testing or certifying their products on the new OS until “the official version” has been released and they can test on it. There are many examples over many years where things break when new operating systems or software is released. Today’s software is enormously complex. In virtually every case, developers went to work immediately to fix problems and create updates. However, there is ALWAYS a lag between release and when all the different elements in the ecosystem are running smoothly with the new version. Always. If your goal is to run the latest version of any software as soon as it’s released, then nothing I write here will make any difference. However, I suspect that the goal of most of us is to edit and deliver projects on time with a minimum of stress. Deadlines are more important than software versions. NEVER!!! upgrade in the middle of a project. Please. If your system is working, don’t upgrade immediately when new software is released. Upgrading the operating system does not provide any new features inside Final Cut or Premiere. Just because a new version is released does not mean your current version is doing anything less than it did before. If your system is dead or not working properly, you should consider upgrading to fix the problem. If you system is working smoothly, however, adopt a more cautious attitude. The update process has changed a lot over the years. Gone are clean installs, along with rigorous installation steps to prevent problems. The App Store, sandboxing and better installers have reduced the need for such careful steps. On systems on which I can afford to have problems, I upgrade immediately. This allows me to test, learn and write about what’s good and bad in the latest software. NOTE: In fact, I have a system specifically reserved for experimenting with software. This is the system I use to write articles on new or beta software. Dot release upgrades to application software — wait a minimum of 15 days after release to make sure the release does no harm, unless this update fixes a bug I’m currently wrestling with. If there are bugs with that dot release, I don’t upgrade, but wait till the next release and repeat this waiting process. Releases of major updates to application software — wait a minimum of 30 days to make sure all 3rd-party software and hardware is compatible with the new version. Major releases of the operating system software – wait 30-60 days after release to make sure all 3rd-party software and hardware is compatible with the new version. Never, ever, upgrade to a dot zero operating system release. While waiting, I read Apple’s support website, key forums and comments from readers who are experiencing problems before making the decision to update. When was the last time a client came to you waving a checkbook and demanding that you edit their project using the latest version of anything? If they aren’t in a tearing hurry, perhaps you shouldn’t be either. Thanks for your newsletters and info Larry. It’s a business as well as a way of life for you but I have really absorbed much from your input to all the editing I have learned these last ten yrs between LAFCPUG and on your own. We’re currently running OSX 10.6.8, and the system is having major issues (window server crashing, Final Cut Pro X crashing, and then crashing some more, compression software crashing, etc.). We’ve had these issues for about 16 months now, but I can never get this guy to even schedule maintenance time, because we’re always behind on schedules and deliveries. Always. (as much as a few months to a year, sometimes) So we pretty much upgrade NEVER. We’re so much behind that even FxFactory doesn’t support us. 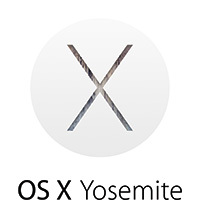 So, by Your calculations, if we get a chance to upgrade, we should go with Mavericks, right? Considering that Yosemite is rather new… Would be great to know whether DVD Studio Pro works on it at all, though. had the same issues with 10.6.8 and FCPX. Was very hesitant to upgrade to Mavericks (skipped Lion & ML for various reasons) and am glad to say, that at least most of my FCPX issues are gone with Mavericks. I also got the entire Final Cut Studio 3 Suite running (with a trick: You have to use Terminal to install it, because the Installer Package claims it is a PPC Application, but with Terminal it works – see this article: http://www.jeremyjohnstone.com/blog/2012-03-11-installing-final-cut-pro-studio-2-0-on-mac-os-x-10-7-lion.html). So to answer your question: Yes, DVD Studio Pro 4 works for me on Mavericks 10.9.5 just as on the old system. I wrestled with moving up to Mavericks for quite a while until I realized that Native Instruments had some very cool software I NEEDED that only ran on Lion and up. I was still on Snow Leopard because any Logic user will tell you that was the most stable system Apple has ever come up with. During the entire process, which was considerably long, I also went over to a new SSD which really made life easier. Anyway, I had to do a ton of research to find out if all my third party stuff would do better on Lion or Mountain Lion or whether I should just take the plunge and go ahead with Mavericks. I took the plunge, did a clean install on my new SSD and then set about making everything work again. It took several days because of various authorization and install issues but now I’m running very smoothly indeed and my decision to move up has paid me some distinct benefits. My point is that Larry is right. Upgrading your OS is a HUGE decision if you are running third party apps. Make the decision only after you have pulled most of your hair out. I only lost one app in my upgrade which I can do without for now. Not a bad record considering the many hundreds of third party apps I use. You need a REASON to upgrade, not just because Apple tells you it’s the most advanced system in the world. Mavericks, at one point, was perhaps the most retarded system in the world, doing inexplicably stupid things for no good reason. They have fixed that now. Just be careful.